I’m a huge fan of “Do Not Disturb,” a handy iOS feature that silences your iPhone or iPad’s ring tones, alerts, and other notifications whenever you need a little peace and quiet. 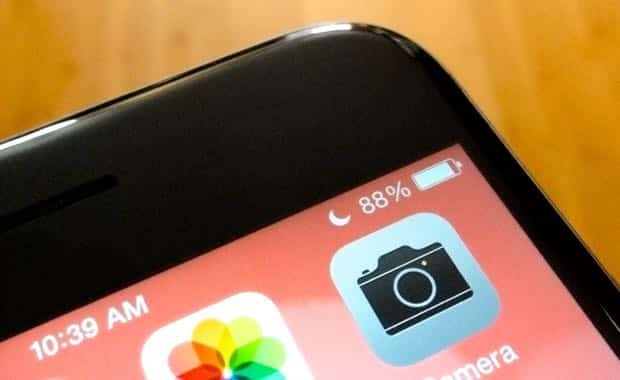 But here’s the thing: even with Do Not Disturb mode switched on (and you can tell it’s on when the little half-moon icon is sitting at the top of the screen), there’s still a chance that your tranquility will be rudely interrupted by a buzz, a banner or some other iOS alert. 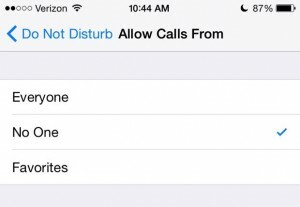 “Do Not Disturb” mode may still allow your “Favorites” to call—that is, unless you change a key setting. The default setting for call blocking in Do Not Disturb is to allow calls from anyone on your Favorites list—perfect for making sure that, say, your sitter or your boss can always get your attention. Tap Settings, Do Not Disturb, Allow Calls From, then select “No One” from the list of options. Of course, who can predict who’s going to be dialing your number for an emergency call? 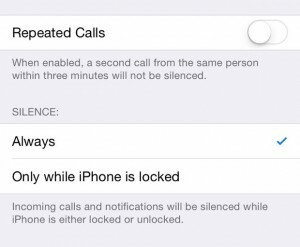 That’s the idea behind the “Repeated Calls” setting, which allows callers who dial your number twice within three minutes to break through Do Not Disturb mode. A prudent idea, perhaps, but the Repeated Calls setting may also allow telemarketers and crank callers to penetrate your cone of silence. Flip a switch to make sure repeat callers can’t break though Do Not Disturb mode—and while you’re at it, you can keep notifications from bothering you while your iPhone or iPad is awake. In any case, you’ll want to switch Repeated Calls off if you want some true downtime. Tap Settings, Do Not Disturb, then flip the Repeated Calls switch to the “off” position. One of my biggest pet peeves about Do Not Disturb when it first launched with iOS 6 was that it only blocked calls and alerts when your iPhone or iPad was locked. If you were actually using your device—say, to watch a movie, or read a really good Kindle book—you’d still get interrupted by pings, rings and beeps. Luckily, the arrival of iOS 7 brought with it a new setting for Do Not Disturb that blocks calls and notifications at all times, even when you’re iPhone or iPad is awake. Tap Settings, Do Not Disturb, scroll down to the Silence setting, then make sure “Always” (and not “Only while iPhone is locked”) is selected.